Roger Federer is currently in preparations to face Radu Albot in the round of 64 at the Miami Open on Saturday evening. Novak Djokovic is safely through to the last 32 after a comfortable win over Bernard Tomic, setting up a clash with Federico Delbonis. James Blake, a former world No. 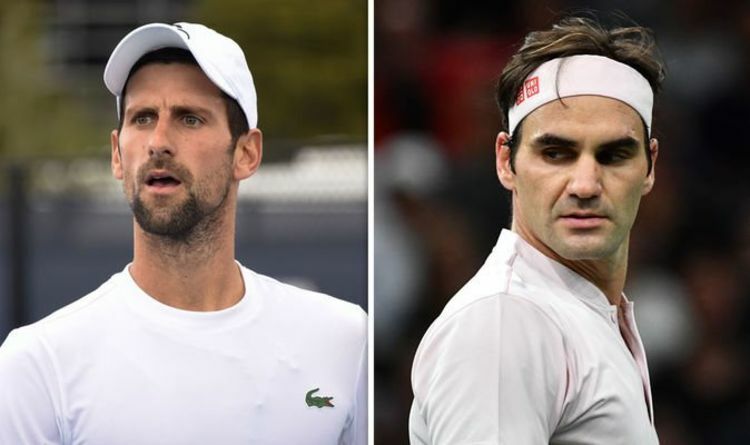 4, is the tournament director at the Miami Open this year, and rather than staying impartial he revealed that he hopes either Federer or Djokovic lift the title. The former professional was referring to Federer and Djokovic, as well as female hopefuls Serena Williams and Naomi Osaka. “Between those four, they are all getting ready their spot where they are gonna be hopefully holding the trophy in a couple of weeks,” Blake added. Federer and Djokovic are both hoping to bounce back from Indian Wells disappointment, but their chances in Miami could be hampered by poor weather. Despite the risk of adverse conditions, Federer has emotionally praised the brand new Hard Rock Stadium before his debut there. He said: “We don’t have new arenas or new set-ups coming everyday in our sport. “I don’t want to say in a negative way that we are stuck in our ways sometimes, but innovation is not our forte in our sport. “Standing here in this stadium right now [Hard Rock Stadium] you can really see the magnitude of what kind of an area this is. Key Biscayne was the venue for the Miami Open from 1985 until 2018 but Crandon Park Tennis Center was seen as outdated by organisers – with Federer expressing mixed emotions over the change. “Key Biscayne has been a really special place for the tennis tour to stop by and Miami was one of my first trips as a junior back in the under 14s,” Federer added. Federer will take on Albot at around 8pm UK time on Saturday evening.